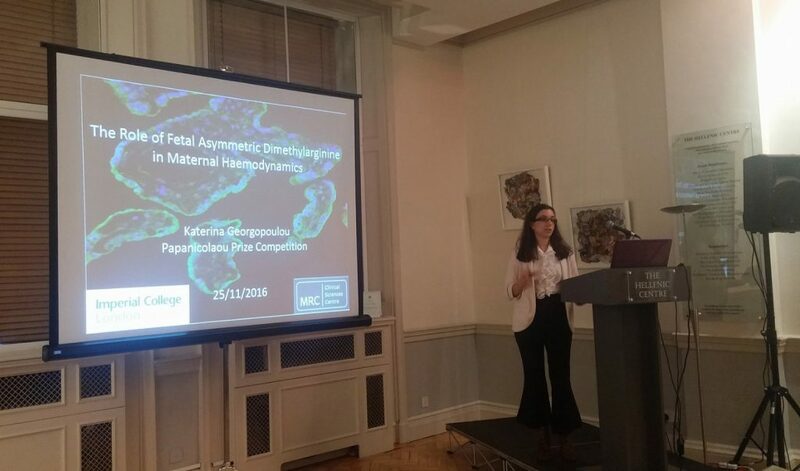 The Papanicolaou Prize competition 2016 took place at the Hellenic Centre on 27 November 2016. 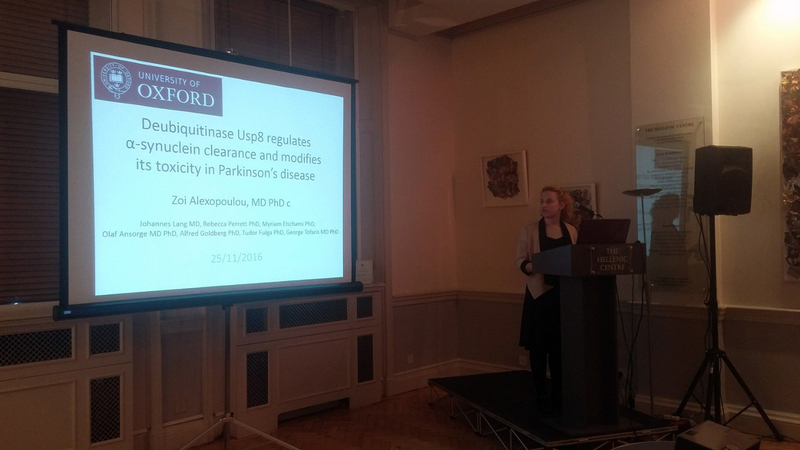 Original research papers in the fields of medicine, biomedical sciences and related areas were presented. Shortlisted candidates gave a 10-minute presentation, followed by a 5-minute discussion. 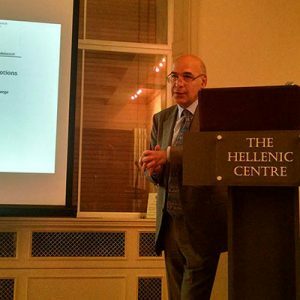 The presentations were judged by a panel consisting of the President, Past-President and President-elect of the HMS UK, and Prof George Ikkos who also gave a presentation on “Medicine, Psychiatry and the Civilizing Process”. 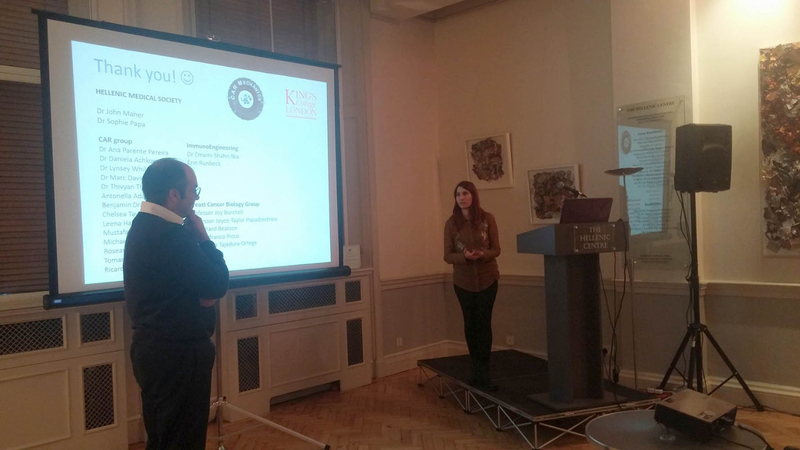 Artemis Gavriil from King’s College London. 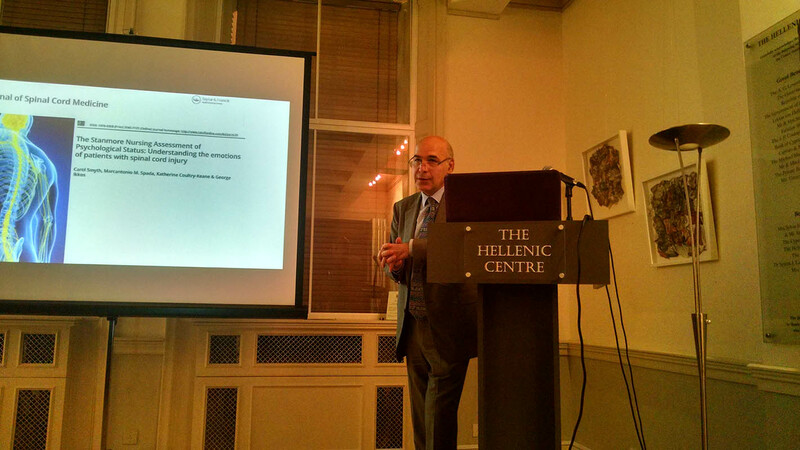 Dr Efstathios (Steven) Papachristou from University College London. 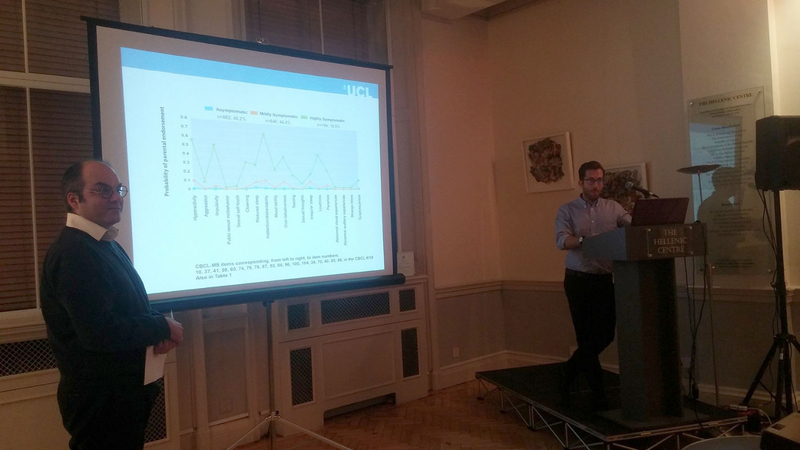 The HMS UK would like to thank all researchers for their high quality submissions and participants to the event who made the evening such a stimulating opportunity for exchange of research ideas.